As a graphic designer, I'm all about finding the art districts wherever I travel for color, form and aesthetic inspiration. I find it oddly comforting being surrounded by creativity and imagination, especially when in a new place. These areas are the playground of my people: the designers, the creators, the experimenters. When visiting a friend in Fort Lauderdale I expected bold colors, bright sunshine and palm trees from the infamously loud and rambunctious city. But when we were planning our itinerary and she exclaimed "I know the perfect place to take you!" I never knew I would be stepping into the design-minded neighborhood of my dreams. 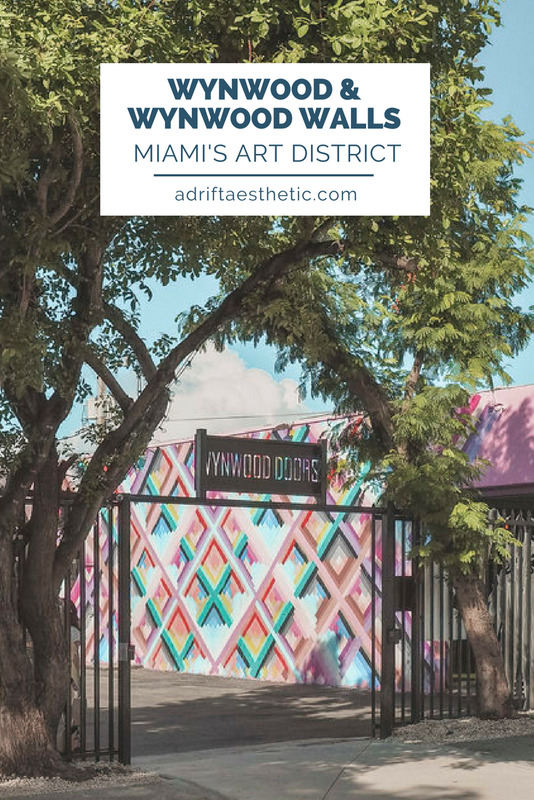 Wynwood is located just a 20 minute drive from South Beach but it's a far cry from the bikini clad girls and overly tan beach-combers to the east. Its vibrant art scene stems from mural after mural across the blocks of warehouses that were once part of a crime-ridden neighborhood. Now the area is flourishing as a gentrified social and cultural hub in the center of Miami. Walking through the streets will take you on an artistic journey of the senses as you're enveloped in street art and you stumble into local shops and eateries. 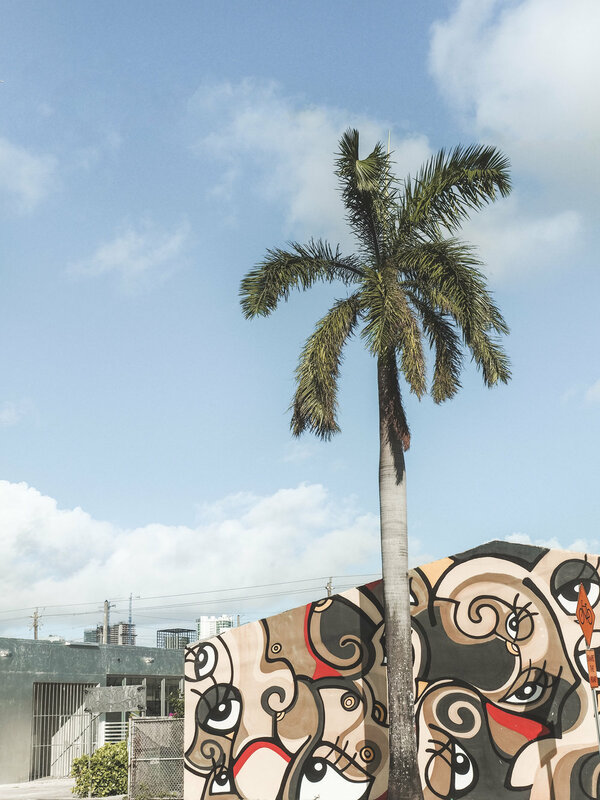 The most popular spot in Wynwood are the Wynwood Walls. This ever-changing outdoor installation of wall murals highlight artists from all over the world. 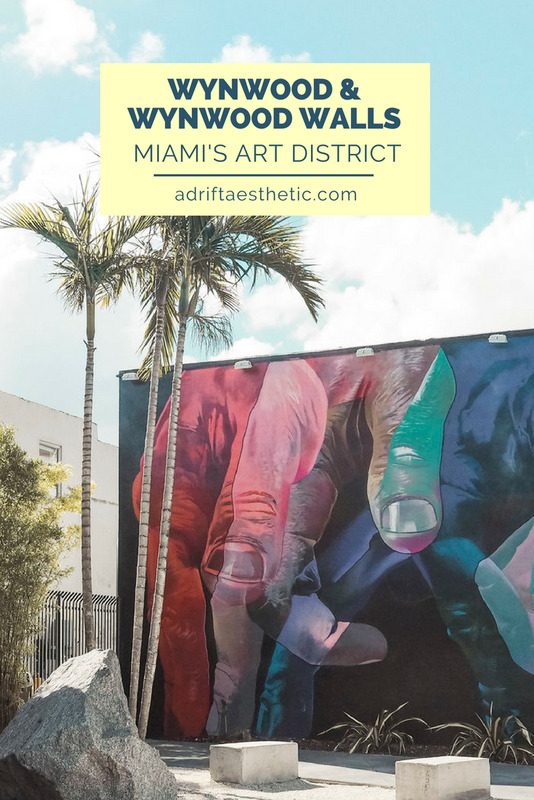 The vast backdrops make this a sought after destination for selfies and instagram posts with over 80,000 square feet of graffiti and paint-colored walls to view across six different warehouses. Within the confines of the walls are small cafes and gardens for the perfect afternoon in the Florida sun. 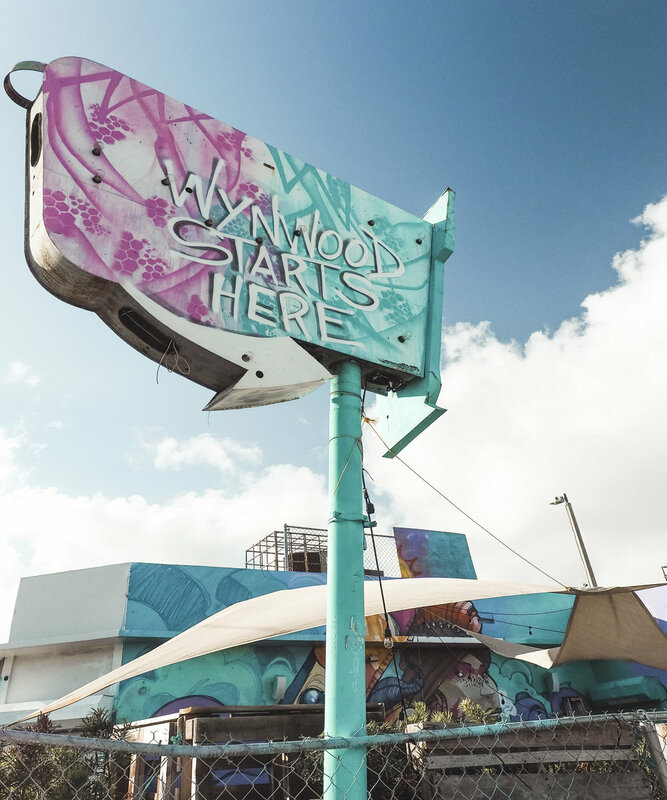 Along with the artwork on every corner, Wynwood also boasts an impressive list of local retail shops, eateries, coffee shops and breweries. A walk through the side streets will lead you to hidden gems inside buildings and in back patios. Every turn of a corner will unveil a new place to explore each with it's own colors and personality that pop. 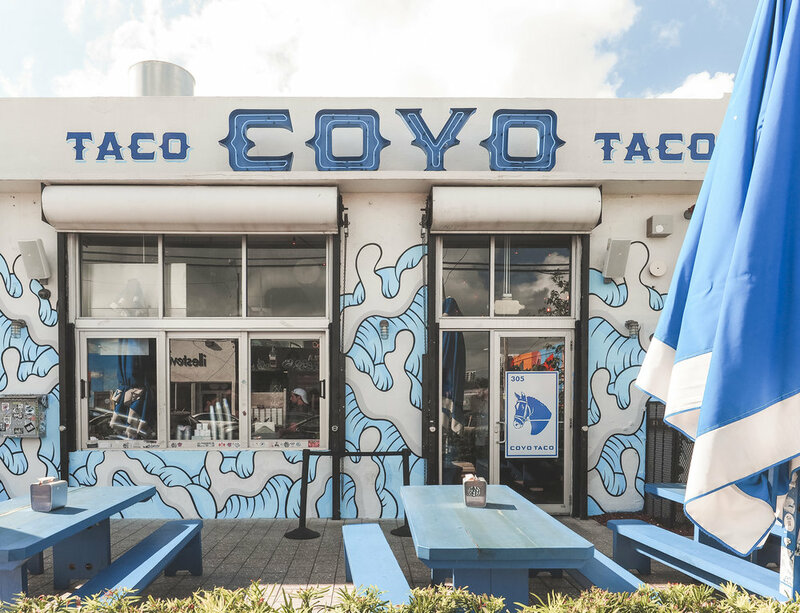 Coyo Taco- Incredibly fresh, Mexican street food. With menu items like duck or falafel tacos, this local joint has something for everyone. Mister Block- Claiming to be the "Coolest Coffee Shop in Wynwood", Mister Block is a hipster heaven. It's a great place to stop for a quick lunch or caffeine fix, but I'm partial to the frozen lemonade. Miami Mojito Company- Walking through an unassuming wall of plants of 2nd Ave, (one of the main drags through Wynwood) will lead you to the equivalent of Mojito Narnia. All freshly prepared, this is the perfect place to grab a cocktail and some shade. Plant the Future- A plant store for the design-minded, this place transforms moss and succulents into living works of art for your wall, coffee table or office. 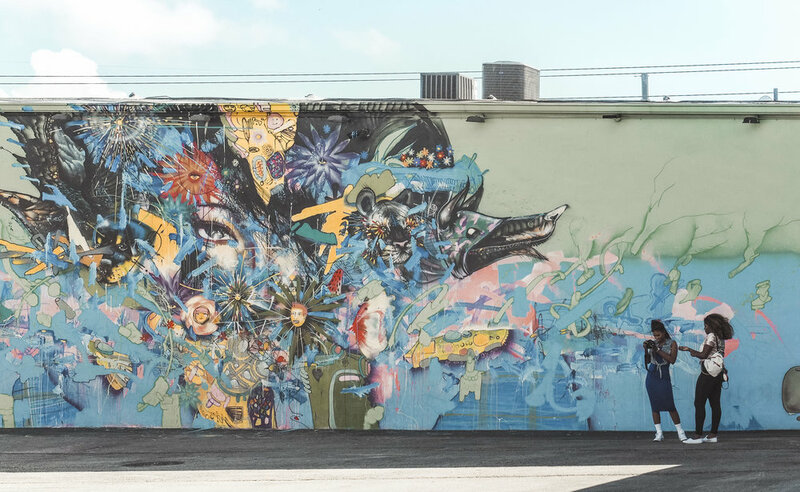 The neighborhood of Wynwood has taken dilapidated buildings, warehouses and even a city dump and turned them into eclectic artwork, gardens and retail space. It may be a trek from the beach but it's a necessary stop when visiting Miami or if you're exploring nearby Little Havana.